HOLBROOK, NY--(Marketwired - March 15, 2017) - American Portfolios Financial Services, Inc. (APFS), a privately-held, independent broker/dealer that services financial advisors across the country, hosted the finals for the seventh annual Long Island Virtual Enterprises International (VEI) Business Plan Competition on March 1, 2017. 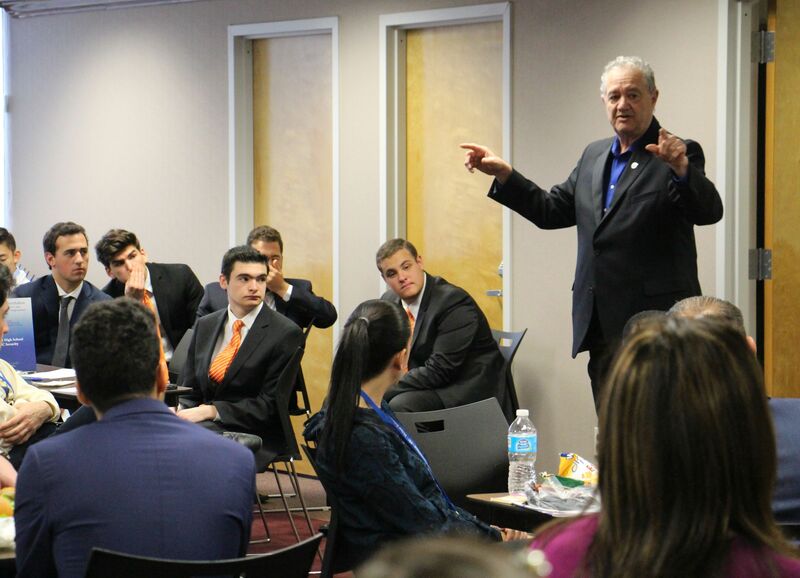 Students from eight VEI-participating high schools located throughout Long Island convened at the APFS headquarters in Holbrook, N.Y., to present their virtual business plans to a panel of judges. VEI is a non-profit organization that offers in-school experiential learning programs for high school students to form entrepreneurial, start-up businesses within a live global simulated setting. "Every year, American Portfolios looks forward to ushering in a new wave of promising, young entrepreneurs," says APFS CEO Lon T. Dolber on the importance of supporting educational organizations that promote business leadership. "We've been working closely with VEI since 2014, and that relationship has proven to be mutually beneficial on many levels. 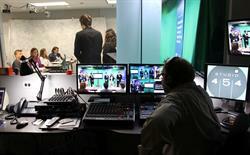 Holding this competition at our home office provides students with the backdrop of a true corporate experience. At the same time, our employees and investment professionals have found the judging experience to be very rewarding." "The impact you make on a young person's development can't be measured," Iris Blanc, VEI's executive director, imparts. "Just knowing that you are helping the next generation of the workforce develop the skills and competencies that they will need to succeed in their lives -- what could be more rewarding than that?" The 2017 VEI Business Plan Competition was comprised of 10 student-run business teams from eight schools: Westhampton Beach High School (Teams Prizm and Zenith), Syosset High School (Teams Alternate Reality Entertainment and Flip-Chip), Elmont Memorial High School (Team Bake My Day Bakeries), Calhoun High School (Team Poseidon Pure), Mepham High School (Team TruView VR), Hewlett High School (Team ROC Security), Islip High School (Team Prestige Worldwide: Backyard Entertainment) and East Islip High School (Team VE Connected). Each high school team's virtual companies became semi-finalists in the Long Island VE 2016-2017 Trade Show Competition held on Jan. 15, 2017, at Farmingdale State College. Presentations from the 10 virtual companies were made during the final competition to a panel of judges comprised of APFS staff, affiliated financial advisors and focus partners, as well as faculty and staff from Suffolk County Community College, Farmingdale State College and Long Island University. "Being a judge was a great experience for me," said APFS Vice President of Global Operations for TrustFort Rahul Darda. "Listening to those passionate young minds present their business plans was like seeing the seeds within their minds grow and get ready to change the world." 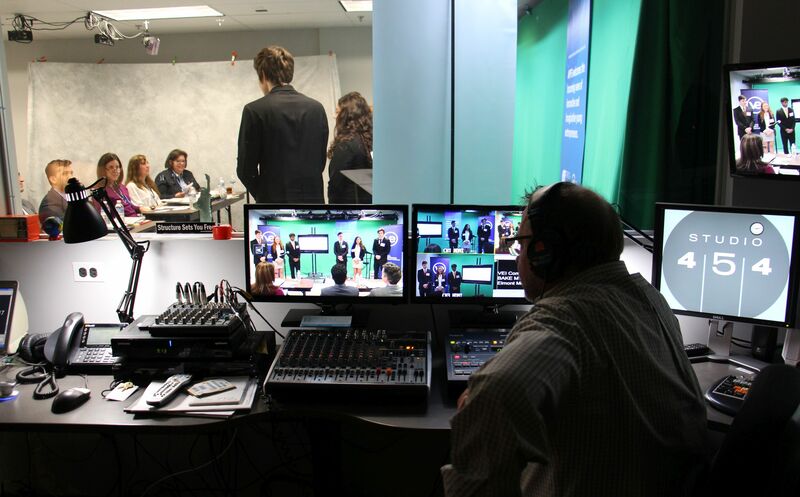 The presentations were held and captured in APFS' in-house production facility, Studio 454, to provide students with playback coverage of their performances as a way to improve on their presentation skills for future VEI competitions. Throughout the event, students had the opportunity to meet and network with the firm's senior management, financial advisors and staff members. Staging the competition at APFS' corporate offices helped students to associate how their virtual business management and operating procedural plans might apply in a real business environment. 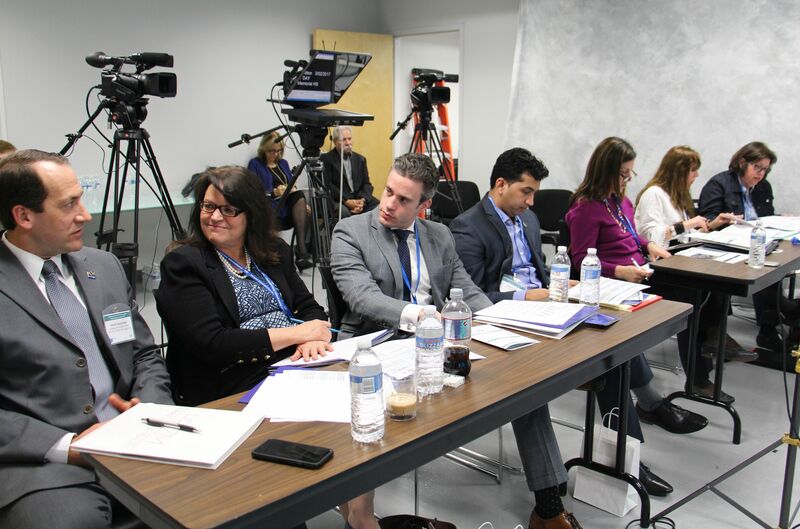 Of the judging in this year's VEI Business Plan Competition, APFS Vice President of Human Resources Lisa DiBella said, "These students are A-players who share a vision, values, mission, goals and chemistry. They really are our future business leaders." Affiliated financial advisor Mark Gajowski, founder of Magii, Inc., remarked, "I really enjoyed seeing each of the truly amazing student presentations. What a true gift VEI is to our education system and students, as well as to the future economy -- which will benefit greatly thanks to these budding entrepreneurs." Judges for the finals in the Business Plan Competition selected Flip-Chip, Poseidon Pure, ROC Security and Zenith as the winning teams that will advance to the VEI National Business Plan Competition, which will be held as part of the Youth Business Summit event on April 3-5, 2017, at Pier 92 in New York City, N.Y. The firm's commitment to nurture the talents of America's future business leaders early in their academic careers doesn't begin and end with sponsorship of competitive events; in 2016, APFS and VEI launched the AP-VEI Internship Fellows Program. This unique program creates pathways for students who have completed VEI's business and entrepreneurship program to go on to summer internships with APFS and other companies. This multi-year, national initiative serves as the catalyst for other companies to aid in the development of the next generation's workforce. "It's a wonderful opportunity for both VEI students and our affiliated financial advisors," says Dolber. "Advisors not only gain a helping hand when they take part in this program, they're investing in our collective future as a society." The firm looks forward to continuing its support of VEI throughout the year with internship and mentoring opportunities at its corporate offices, as well as nationwide throughout its 363 branch offices comprised of financial services business owners. Headquartered in Holbrook, N.Y., APFS is a full-service, independent broker/dealer and member firm of FINRA and SIPC, offering a complete range of financial services, including personal financial and retirement planning, securities trading, mutual funds, access to investment research, long-term care planning, insurance products and tax-free investing. Fee-based asset management is offered through its sister subsidiary, American Portfolios Advisors, Inc., (APA), an SEC Registered Investment Advisor. Both entities, along with technology entity American Portfolios Advisory Solutions, LLC, collectively reside under the legal entity American Portfolios Holdings, Inc. (APH). Full-service securities brokerage is available through a clearing firm relationship with Pershing, LLC, a BNY Mellon firm, the securities of which are held on a fully disclosed basis. The company currently serves 797 independent investment professionals located in 363 branch locations throughout the nation. It was named Broker-Dealer of the Year* (Division III) by Investment Advisor magazine in 2015 and 2016, as well as the No. 1 Best Small/Mid-Size Company to Work for in the state of New York for 2016 by the New York State Society for Human Resources Management (NYS-SHRM) and the Best Companies Group (BCG). VEI is a non-profit organization that provides experiential learning programs to schools across Long Island and beyond. Through their live global business simulation, students are offered a competitive edge through project-based collaborative learning that allows them to create and operate every facet of a virtual business. This program helps students develop 21st-century skills in entrepreneurship, global business, problem solving, communications, personal finance and technology. Dr. Kimberly R. Cline, President, Long Island University; Dr. Francine Federman, Assistant Dean, Farmingdale State College; Lisa DiBella, Vice President of Human Resources, APFS; Mark Gajowski, APFS Advisor (CFP and Founder, Magii, Inc.); Rahul Darda, Vice President of Global Operations, TrustFort/APFS; Ben Wirtshafter, Asset Management Advisor, Gerstein Fisher; Mary Reese Cavanaugh, Associate Dean of Student Services, Suffolk County Community College. VP of Marketing & Corp. Comm. American Portfolios CEO Lon T. Dolber addresses students at the finals for the 2017 Virtual Enterprises International Business Plan Competition, which was held on March 1, 2017 at the firm's Holbrook, N.Y. home office.